FAQ - How to get license. / FAQ - How to get license. I'm too pro to be pro. 1: Make ACC on forum (here). 4: Enter your username and password. 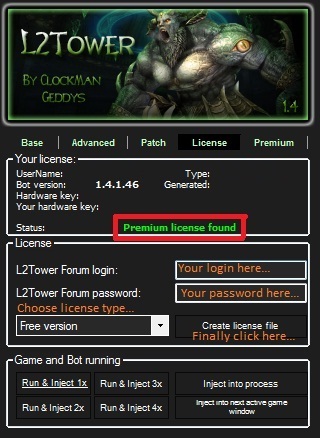 5: Select type of license. 6: Click on: "Create licence file". 7: Done, now you can choose anty-antybot and play. No more keys available! - Limit premium key was used.